Mizoram's chief electoral officer is facing a massive agitation for ouster by by a conglomerate of civil society and student organisations. The Election Commission has only decided to call for a panel of names for the post. The Election Commission Saturday initiated the process of finding an alternative to Mizoram chief electoral officer who is facing a massive agitation for ouster by a conglomerate of civil society and student organisations. 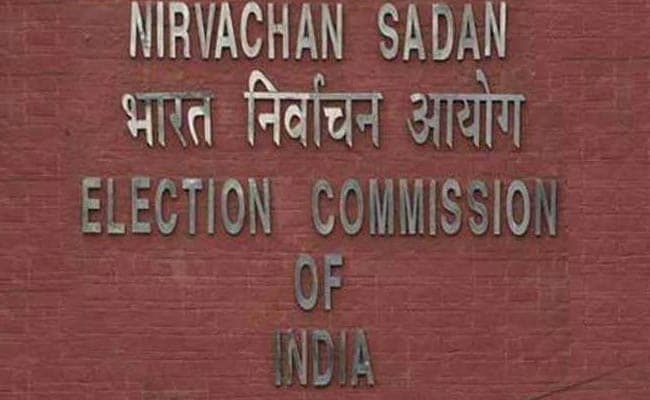 A Commission spokesperson said that in a meeting held in New Delhi on Saturday, the poll panel has "only decided to call for a panel of names for the post of State CEO from chief secretary of Mizoram." The spokesperson said "next steps" will "only be taken after receiving the report of the team led by Deputy Election Commissioner Sudip Jain". State chief electoral officer SB Shashank had reportedly sought deployment of additional central armed police forces (CAPF) in the state and complained to the EC that the state's former principal secretary Lalnunmawia Chuaungo was interfering with the poll process. The NGO Coordination Committee - a conglomerate of civil societies and student organisations - along with other political leaders, had been demanding Shashank's exit from the state since then. Meanwhile in Mizoram, the visiting Election Commission team led by Mr Jain, has left for New Delhi on Saturday after holding talks with the stakeholders in view of the demands for removal of Mizoram Chief Election Officer Shashank, officials said. The team would submit its report to the Election Commission, they said.